At the Forum Digital Service Repository 2015, the Malaysia Administrative Modernisation and Planning Unit (MAMPU) showcased the technological advancements from within the public sector. The forum was held on 8th October at the Ministry of Federal Territories. The theme of the forum was, “Internet of Things (IoT) for Smart Service Delivery.” This subject spoke to many of the representatives in the audience as Malaysia’s public servants are keen on increasing their use of connected devices. YBhg. Tan Sri Dr. Ali Hamsa, Chief Secretary of Malaysian Government, shed light on this situation as he took the stage to greet the members of the forum. He praised the OpenGov partnership with MAMPU for facilitating recognition for public sector excellence in ICT utilization, data analysis, and mobility. 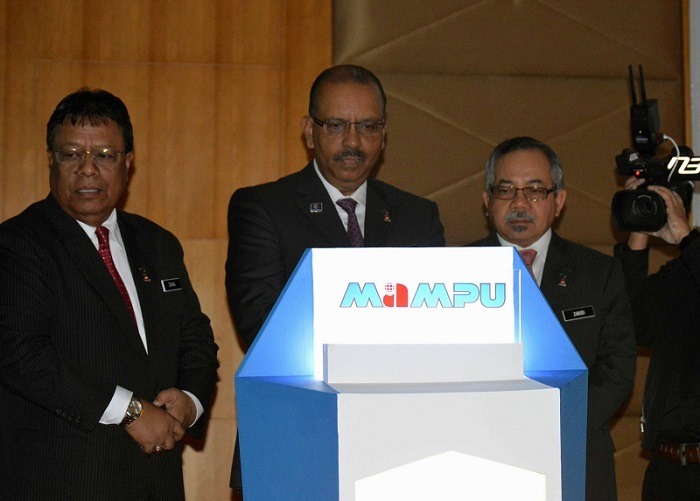 Dr. Ali Hamsa then briefly introduced MAMPU’s new products and initiatives: the 1GovEA master plan, GAMMA (the Gallery of Mobile Applications from the Government of Malaysia) and 1govUC. This speaks to the growing interest in big data analytics for public sector service enhancement. In speaking to MIMOs Berhad after the awards ceremony, it was realized that prediction is the next step in big data analytics advancement. The awards given at the forum exemplify those public sector agencies who are “using their skills and ingenuity to solve problems,” as Dr. Ali Hamsa put it. A connected nation won’t happen in one agency alone, but rather, it will happen together.